Research says that we spend one third of our life in bed. In fact, we spend much more than that, it could be talking on the phone, catching forty winks, having breakfast in bed or just sending late office mails. It is your personal space, a place where you unwind, a place where you dream, where you have life's great moments with your family and loved ones. For a place such as this, shouldn't it deserve to look magnificent and be able to give you many more years of delightful memories? Here are a repertoire of upholstered beds that come in stunning designs, quality, as well as make a sophisticated statement to match your lifestyle. 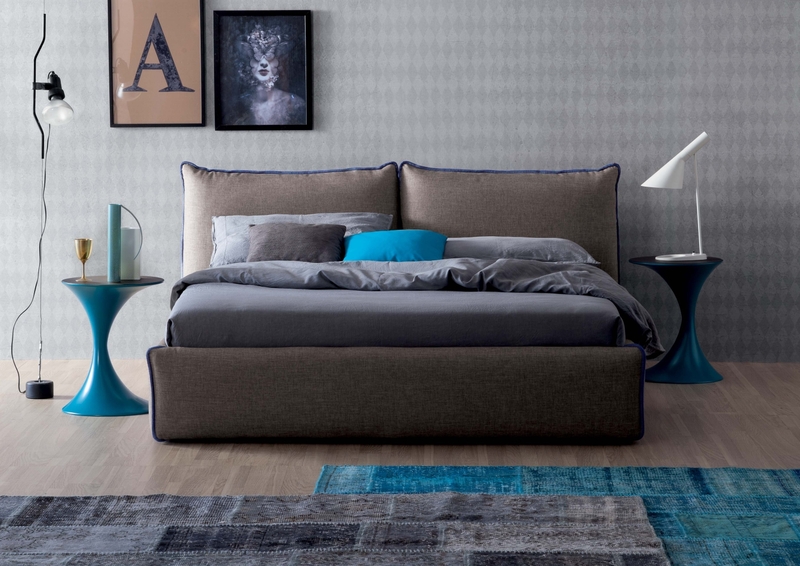 The inviting Hampton by Calligaris is a fully upholstered double bed with deep buttoned headboard and bed frame with a stylish removable cover. It is available in stain-resistant and anti-bacterial Melrose fabric or Ekos faux leather, with wooden or aluminium feet. Joy upholstered double bed finds its own dimension in simplicity, in a squared and light-weight structure. It is completely customisable and a perfect representation of Tonin Casa’s standards of quality. It is available in two versions a fabric version, with a contrast stitching and an eco-leather version, which is available in wide colour range. It can also be equipped with a lifting mechanism. 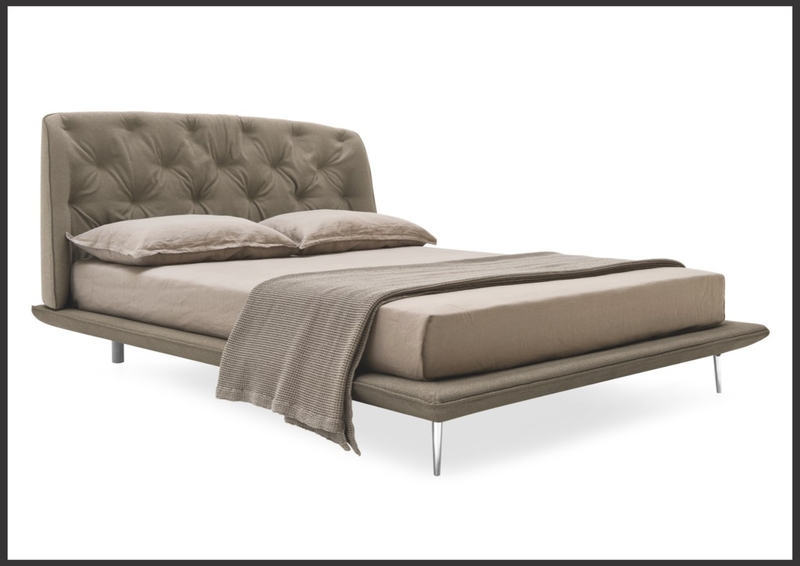 The plush Michelangelo double bed by Tonin Casa is a modern padded bed with a choice of upholstery in varied sizes. It stands on an Ash wooden frame available in Canaletto Walnut, Dark Oak, or Natural Oak finishes. The headboard design takes its inspiration from sculptures, by their precise details and their curves that suggest quiet and placidity. The final touch is the creasing, a subtle and delicate edge whose colour can change and underline everyone’s personal style. 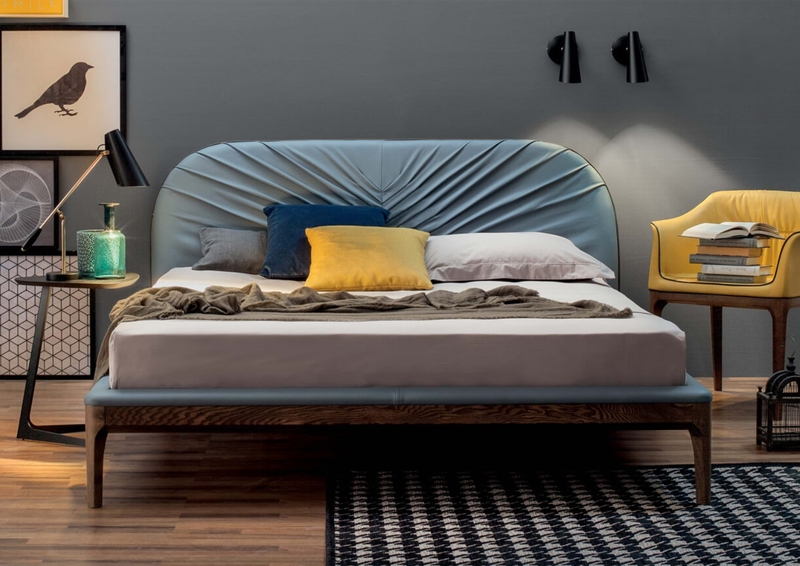 The Alvar double bed by Guiseppe Vigano for Bonaldo is a combination of padded platforms devised to create the headboard, the bed surround and the footboard, choosing from various shapes and compositions. The superior level of customisation also concerns the type of quilting, the upholstery cover - which is fully removable - and the colour. Alvar single bed version can become a versatile sofa-bed when required, providing a practical interior design solution for various occasions. Designed by Bonaldo, it is made up of three padded & stitched panels. Each panel is made individually so it can be upholstered in a choice of fabrics. The legs are available in a lacquered finish with many colour options. Be on cloud number nine with Cloud bed by Tonin Casa. 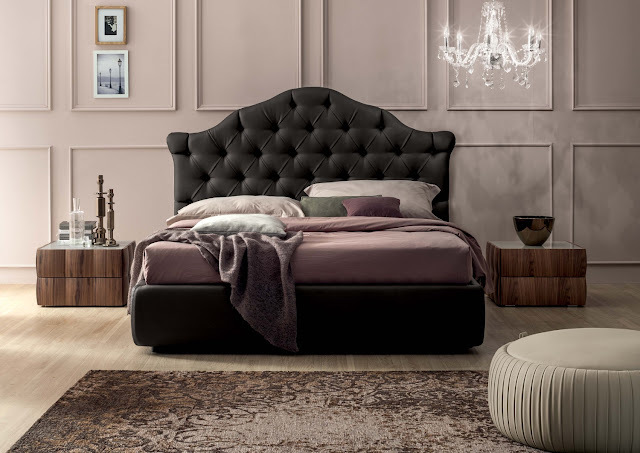 Combining fine Italian craftsmanship with timeless design, this bed is the perfect addition to your modern bedroom-lighting. It has an adjustable and luxurious headboard, bed slats which fit a King size mattress and available in a variety of stunning colours. 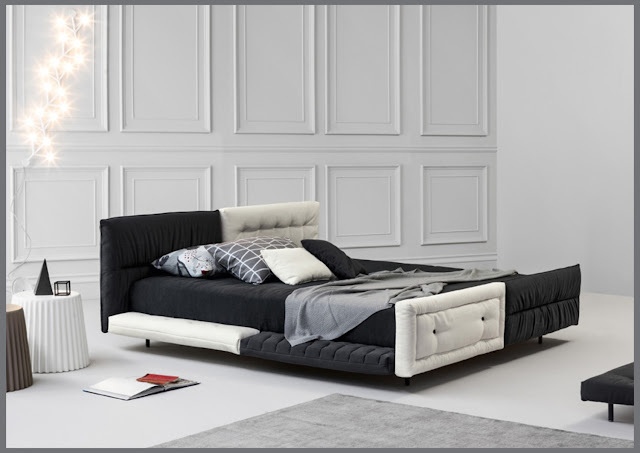 Veneziano double bed communicates its essence with its beauty. This Tonin Casa bed has a headboard made with handmade chesterfield technique which creates a Capitonné effect, both rich and refined. The bottom ring graciously meets the glorious headboard and its simple upholstery. The edges of the bed are curvy, the buttons and bulges are perfectly put in place one next to the other, on Italian leather. The bed can be customised to your desired style to match your décor. 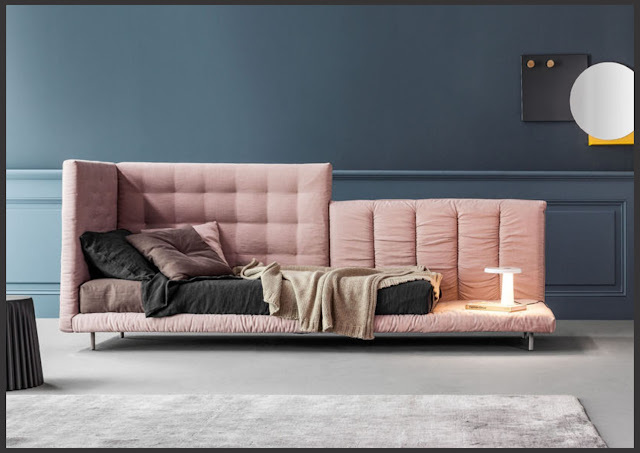 The upholstered Dharma bed by Tonin Casa has a headboard that highlights the fabrics and leather colours and textures, counter posing the big central cushion and the structure. It has frame upholstery in bordeaux red Nubuk leather, pillows upholstery in brick red pied-de-poule fabric and has removable pillows. We're sure you loved them just with one glance. 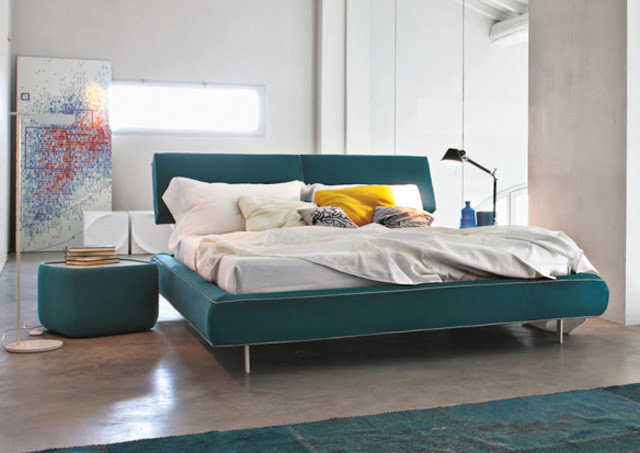 So, why wait for an excuse when you can drop into our showroom and experience our fine collection of beds right away?